作者：Karen H. Sherman Ph.D.; Scott Haltzman M.D. Each person is entitled to have "the good life." Most don't experience this because of getting caught up in reacting, continually recycling old patterns that keep you stuck and emotionally frozen. By practicing the simple tools inMindfulness and the Art of Choice, you'll learn how to live mindfully and create the great life you want. 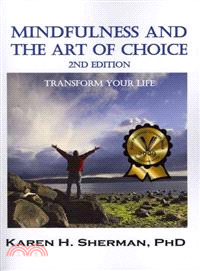 "This is a most important book that goes beyond self-help and good advice. It brings an awakening to the heart--a true connection to, and trust, in self."